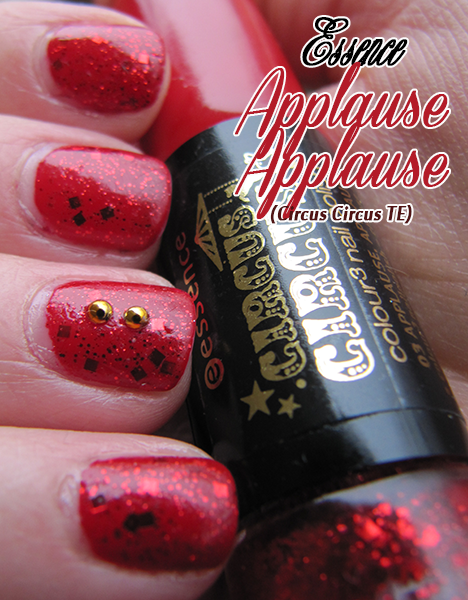 Applause, Applause! - Cherry Colors - Cosmetics Heaven! 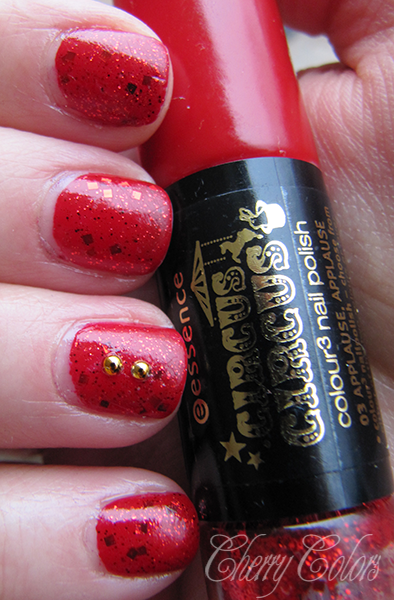 I was looking to re-use this gorgeous nail polish combo from Essence for a very, very long time. This upcoming Christmas season is the most perfect reason I could think of. If I am not mistaken this collection came out one year ago somewhere this time? Or was it two years ago? I don't really know, but I know it was full of gold and red tones. Perfect for Xmas! 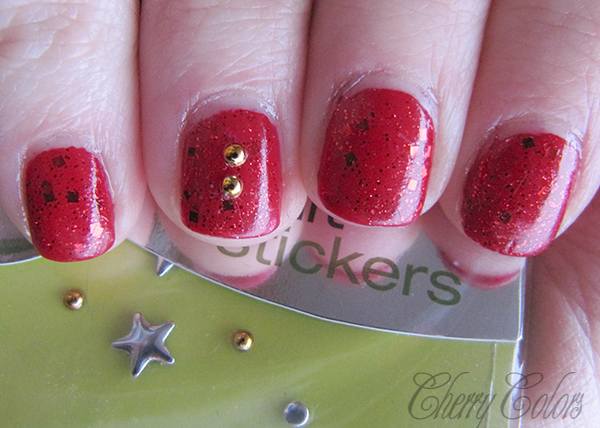 I used both polishes and both of them just in one layer. 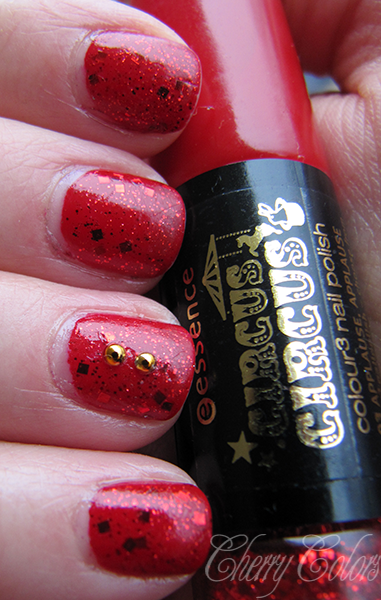 The red nail polish is very pigmented. 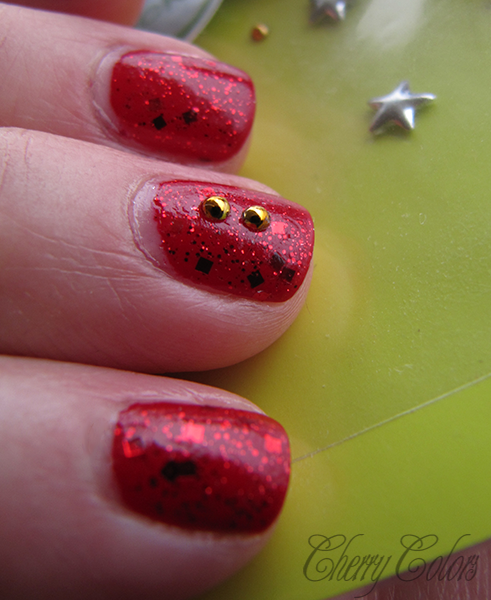 I added two studs from Essence nail art stickers (rock it). I must say that these stickers are not the best. They do stick, but you can't pass your hand through your hair and similar stuff, of you're going to lose at least one. But they are easy to apply and great for photograph! If they do stay on for more than just a couple of hours - they shift through the nail. Because the glue is well.. really gentle. Anyway, ladies and gents.. let me present you... Applause Applause! I really like it because it truly has a festive feeling to it. 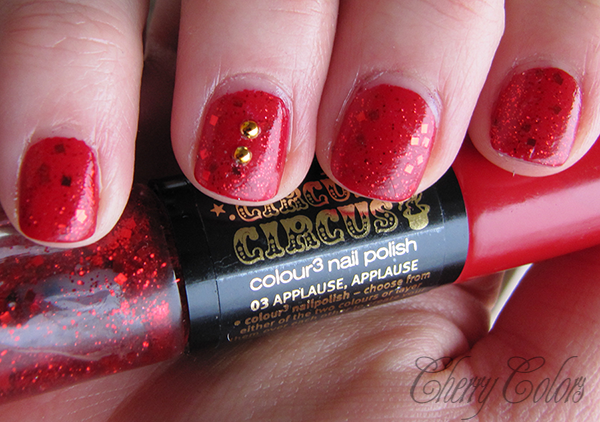 Do you have any polishes from the Circus Circus TE?